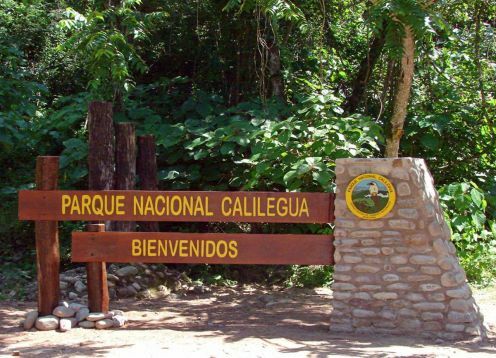 Calilegua National Park was created in 1979 with the purpose of preserving an area representative of the Tucuman-Oranense forest, also known as "yungas". It is the most biodiverse environment in the country along with the Paraná jungle, in Misiones. It belongs to the eco-regions jungle of the Yungas or mountain jungles of the Argentine northwest and puna, whose climate is hot humid to subhumid, with summer rains of between 900 and 1300 mm. This eco-region is integrated to the sub-Andean mountain ranges, in altitudes that vary between 400 and 3000 meters. Among the mammals that we can find we highlight: puma (puma concolor, wild cat (Leopardus geoffroyi), jaguarundi (Puma yagouaroundi), taruca (Hippocamelus antisensis), Yaguareté (Panthera onca), red corzuela (Mazama americana), river wolf (Lontra longicaudis), capybara Hydrochoerus hydrochaeris, collared peccary (Tayassu tajacu), mountain fox (Cerdocyon thous), ferret major (Eira barbara), aguará pope (Procyon cancrivorus), coati (Nasua nasua), tapetí (Sylvilagus brasiliensis), monkey fallen (Cebus apella), common cooking (Galea musteloides), reddish agouti (Dasyprocta punctata), red squirrel (Sciurus ignitus), among others. 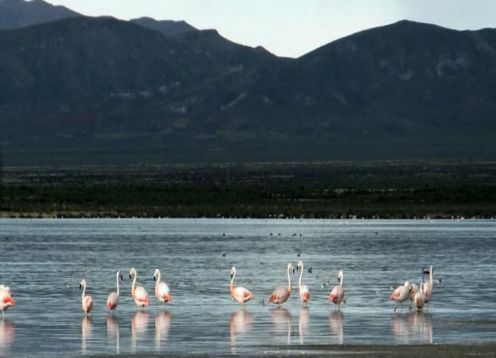 As for Flora, they have registered 123 species of trees, 77 of ferns, 120 mammals and 350 of birds and this considering only some of the most conspicuous life forms. By car: By National Route No. 34, the town of Libertador General San Martín - distant about 120 km from San Salvador de Jujuy - should be taken as a reference. A few meters from the end of the bridge over the San Lorenzo River, you should take the Provincial Route No. 83, which crosses the Park, and reaches the Valle Grande Department.